A flurry of progress on the condo in recent weeks. 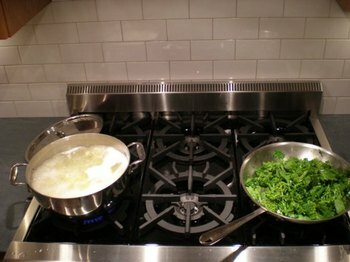 The countertops got installed in the kitchen, and now all the appliances - including the awesome range - are hooked up and working. 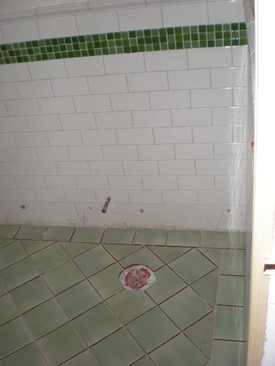 In the bathroom, the tiling is complete, and all the plumbing is installed. 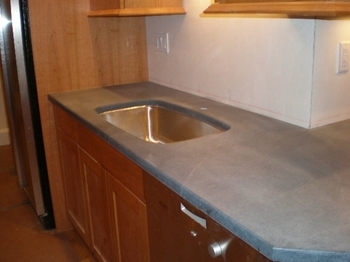 Here's a look at the soapstone countertops. Here they are a little dusty; after we cleaned them they were a little darker and the veining showed more. 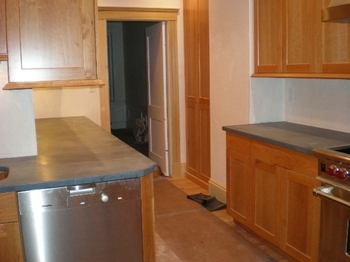 Soapstone can be oiled to give it a dark, rich finish, or left in its raw state. We plan to oil it, at least in the beginning, but we like the way it looks now as well, so if we get bored of oiling it and stop, we'll still like our counters. The bathroom looks good too; we're still waiting for the shower door, since there was a series of snafus (not our fault) in the order. Today we were picking paint colors. They've drilled the cabinet doors and drawers to install the handles. 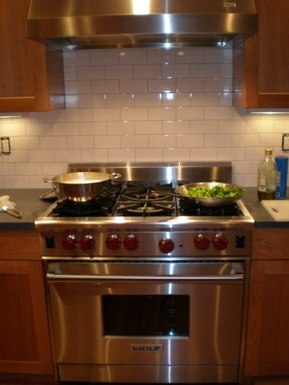 The only thing missing in the kitchen is the tile backslpash. We even got a new little kitchen table! It's really almost done. We might be able to unpack our stuff into the kitchen this weekend. Okay, but did you need to put it so bluntly? Our renovation project was dormant for a couple of weeks, while contractors were on vacation and other delays happened for reasons that are not entirely clear to us. In the past week, though, stuff started happening again. 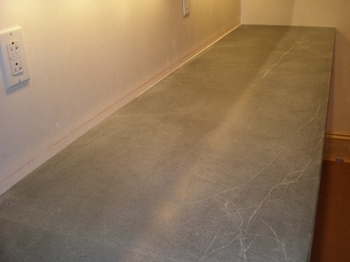 Two very friendly guys have been hard at work tiling our bathroom - they poured a new concrete underfloor last week, and then got to the tiling on Monday. Something I learned about tile: grout is not mortar. 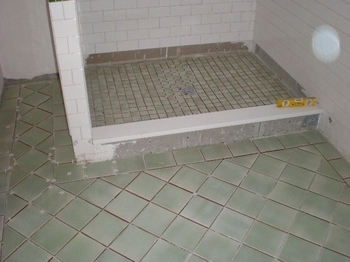 The tiles are glued in place, and grout is applied afterward to fill in the spaces between them. 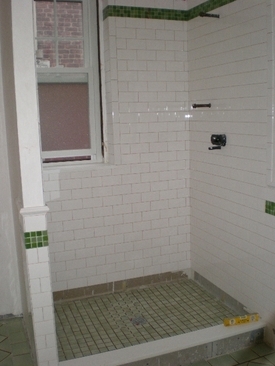 We did not select grout (there are a wide range of colors to choose from) until after the tiling had already begun. 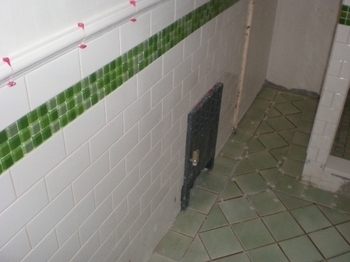 Today, all the bathroom tiles are in place, but the grout has not yet been applied. (Click on the pictures for a bigger view.) 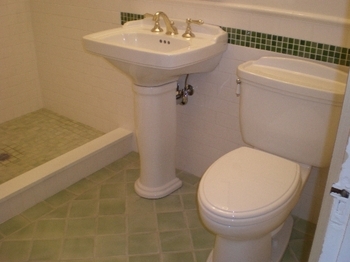 We chose a pale green ceramic tile for the floor. 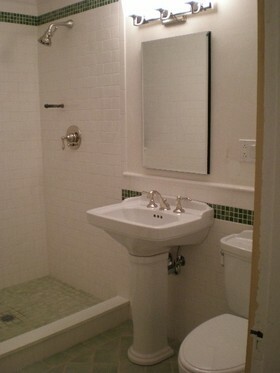 The wall is white subway tile with a border of green glass. The wall tile goes up to 42" with a chair rail edge at the top. Above that, we'll probably paint the walls to match one of the greens in the glass border. I have fallen madly in love with subway tile and I'm tempted to cover my whole house with it. That's probably a little excessive, so instead of that I'll just use it in the bathroom and in the kitchen for the splashback behind the counters. The floor of the shower is the same tile as the bathroom floor, except in a smaller version - 2" tiles instead of 6" tiles. This is because the shower floor is pitched inward toward the drain, and a smaller tile is needed to follow that contour. Inside the shower we've used the same subway tile and border as outside, all the way up to 7'. Here's one more look at the floor and the wall together. This is where the toilet will be. 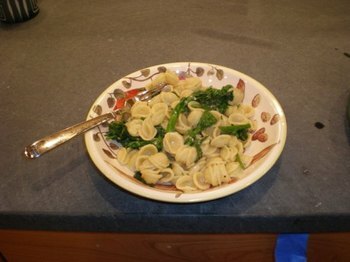 In the kitchen, there is also starting to be some progress. The kitchen hasn't changed much in the last three weeks. But today a stone fabricator is here making a template for the countertops, and either today or tomorrow we are heading to the stoneyard to pick out our actual piece of stone. 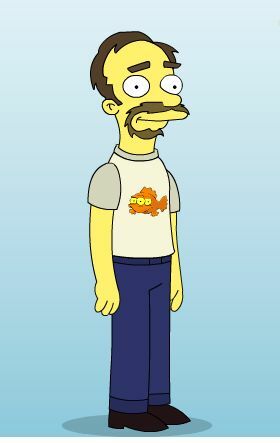 And I've found myself quoting lines, like President Schwarzennegar's "I was elected to lead - not to read!" 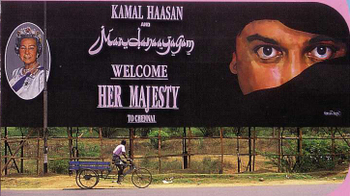 So all in all it was a successful film, I think. 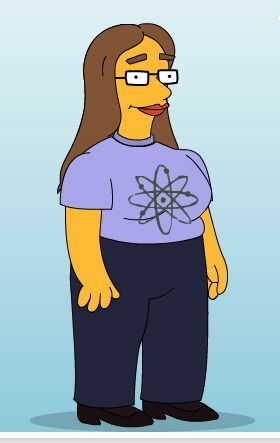 The official website is the best part though - you can make yourself a Simpsons-style avatar. Here are David and me.